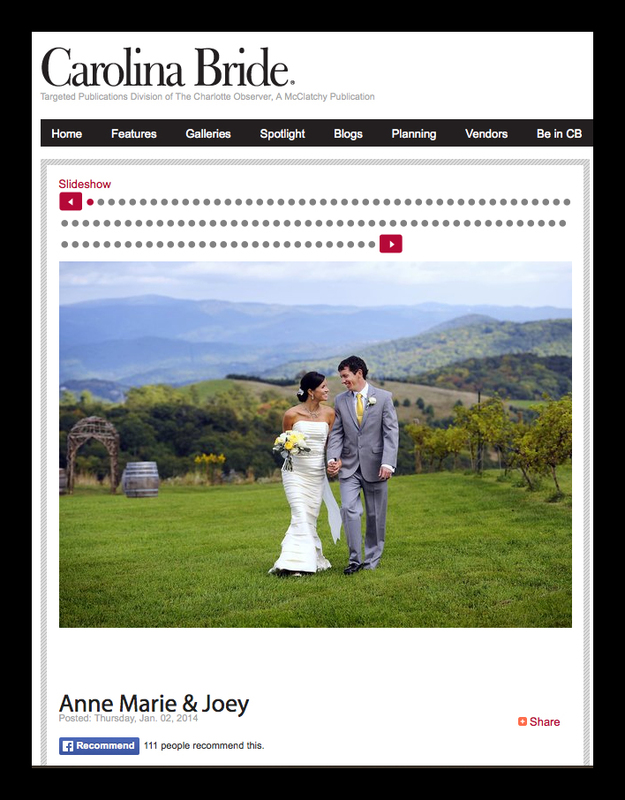 We were pleased to learn that the beautiful mountain wedding of Anne Marie and Joey was selected to be featured in the current edition of Carolina Bride magazine. The wedding, planned by the talented team of Cortenay Matters and Elle Allen of Carolina Event Design, took place at the Banner Elk Winery on a beautiful fall afternoon. Lingky Sugg of Flowers by Lingky created some amazing florals. The online gallery can be seen here: Carolina Bride.